Editor’s Note: Jerome Wakefield gave a presentation on his harmful dysfunction approach to defining mental disorders at SUNY New Paltz in March 2011. Jonathan Raskin served as discussant, and his response, reproduced here, remains highly relevant in light of ongoing debates about how the upcoming DSM-5 should define mental disorder. Video of both Dr. Wakefield’s and Dr. Raskin’s presentations are available online as part of SUNY New Paltz’s Mediasite Presentation Catalog. What Constitutes a Mental Mechanism? Wakefield’s notion of “mental mechanisms” seems like a universal way to validly define disorders based on what is factually the case. If we can identify broken mental mechanisms, then distinguishing disorders from non-disorders becomes a fairly straightforward matter. At the level of abstract theorizing, this seems quite intuitive and clear-cut. At the level of operations, it becomes a lot fuzzier. Where precisely does one find “mental mechanisms?” Do we have a catalogue of those that have been empirically verified? Can we see them using MRIs? Are there blood tests or other assessments to ascertain whether such mechanisms are functioning properly? How many mental disorders have had their underlying mental mechanisms empirically identified (the answer to this is none, I believe)? These questions beg a broader one. When Wakefield speaks of mental mechanisms, does he mean mechanisms that are themselves mental or does he mean mechanisms that are physical but serve the purpose of generating mental experience? Let me briefly explore these two alternative ways of defining mental mechanisms. If when Wakefield refers to mental mechanisms, he means physical mechanisms that generate mental experience, then what we call mental disorders are really just physical disorders. Of course, reducing the psychological to the biological is very common today. However, given Wakefield’s position that disorders are not about whether something is physical or mental but rather about whether a mechanism is performing its designed function, I don’t think he is pushing a purely materialist view of disorder. If when Wakefield refers to mental mechanisms, he means mechanisms that are mental as opposed to physical, then we have stumbled upon what is probably psychiatry’s most fundamental conceptual problem—one identified long ago by Thomas Szasz (1974), who argued that the mind, which is non-physical, cannot be physically ill. Szasz therefore asserted that mental illness is a metaphorical term that has been taken literally. Is it possible that the term mental mechanism suffers from a similar conceptual confusion? Mechanisms, like illnesses, are usually presumed to correspond to aspects of the physical world. 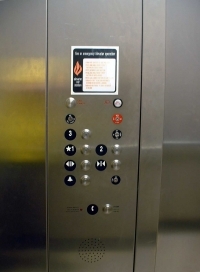 A lever triggers a recliner to open or a button sends an elevator to a given floor. In these instances, we understand precisely what is meant when we use the word mechanism: Levers and buttons are empirically observable and consensually verified “things” that we can physically manipulate. The mechanisms of illness are also traditionally conceptualized as having material foundations. For instance, we consider diabetes a failure of the pancreas to regulate blood sugar. Of course, sometimes we consider something an illness despite not fully having understood or identified the relevant malfunctioning mechanisms. Chronic fatigue syndrome, for example, is often deemed a physical illness even though there is presently little agreement about its causes. My point is that mechanisms and illnesses—putative or confirmed—are typically presumed to have counterparts in the material world. By contrast, any time we do not reduce the mental to the physical, we are at least momentarily defining the mental on its own terms. This is why the notion of a brain tumor makes conceptual sense, but a mind tumor does not. In this case, importing the language of the physical into the realm of the mental runs the risk of making matters incomprehensible. I wonder, therefore, if the metaphor of dysfunctional architecture as the basis for conceptualizing disorder breaks down when we shift from physical to mental mechanisms. Conceptual confusion around mental versus physical mechanisms perhaps explains why Wakefield focuses his definition of disorder on whether a mechanism fulfills its naturally designed function and distances himself from the physical versus mental debate. Avoiding the debate, however, does not avoid the problem. Who Decides What Counts as a Naturally Designed Function? In attempting to establish a sound footing, Wakefield defines the failure of mental mechanisms in terms of their not fulfilling naturally designed functions. A number of his critics have zeroed in on problems with his naturally designed function notion. The nuances of these arguments are more detailed than we have time for today. Suffice to say that whenever I encounter such debates, I’m reminded of a TV show I loved while growing up, The Greatest American Hero. Its premise was that a high school teacher is given a super hero suit by aliens from outer space. The suit gives him super powers. Unfortunately, he loses the instruction manual before he learns how to use it. The suit clearly was designed to function in specific ways, but the characters in the show had to figure out what they were. Perhaps we have a similar dilemma when it comes to analyzing mental mechanisms. Of course, designing a superhero suit presumes a designer with a plan behind the whole endeavor. Here it is useful to heed critics of Wakefield who doubt whether his using the language of design is fully consistent with evolutionary theory. Evolution does not see people as masterfully designed by some kind of higher intelligence in a process that once was and has now reached its zenith. This is the central point evolutionists make when countering proponents of intelligent design. Further, accepting the idea that mental mechanisms have been naturally designed over millions of years of evolution does not address how we can determine whether such mechanisms are in fact functioning as intended and who has final say in such matters. The hypothesized purpose of a mental mechanism is to allow an organism to survive and pass on its genes. Yet, what is adaptive varies enormously with circumstances. Therefore, what is functional at any given time is a matter of judgment. Evolution in this regard is about change processes, not universals. However, even if we accept Wakefield’s assertion that there is a universal cognitive architecture whose proper functioning is context-independent, he provides no clear way to distinguish whose assertions about this proper functioning transcend the social and reflect the universal. I am somewhat sympathetic to Wakefield’s theoretical premise that certain elements of human cognitive architecture are universal, if we clarify what is meant by universal. Universal means that all people have evolved roughly similar cognitive capacities regardless of current social setting. However, we need to be careful that we don’t slip into a kind of preformationism in which we assume that genes contain programs that store in advance exactly what an organism will become (Oyama, 2000a, 2000b). Development always entails the interplay of the genetic and contextual, and there is no reason to believe this is not also the case when it comes to how any given person’s cognitive abilities develop. That being said, Wakefield is justifiably arguing against the extreme social constructionist position that the social is the only thing that matters when it comes to cognitive development. On this we agree. Yet, I would also maintain that the reasoning powers that emerge from a person’s cognitive architecture do not necessarily carve nature at its joints. In evolutionary terms, cognition is similar to empirical sense data; its purpose is not representational, but adaptive (Glasersfeld, 1995). Take humans versus bats, for example. The architecture of human and bat sense organs provides very different kinds of information. However, trying to distinguish whether human vision or bat radar more accurately represents the world becomes a nonsensical endeavor because each does what it evolved to do to enhance survival in a particular environment. To think of one or the other as yielding information that more accurately corresponds to things “as they are” is to presume that sensory data and our cognitive manipulations of it serve a representational rather than a survival function. My concern here is that Wakefield, in claiming that his account gets at the essential nature of disorder, may be mistaking a theoretical position generated by human cognitive architecture (in this case his!) for truth itself. Does the Harmful Dysfunction Model Provide the Basis for Correctly Identifying Disorder? Wakefield’s focus is on showing that his definition of disorder as harmful dysfunction “succeeds in picking out a real property” (Wakefield, 2002, p. 259) and is therefore objectively true. Although I agree that his theory of harmful dysfunction may provide a useful basis for distinguishing disorder from non-disorder, I do not think it does so because it has been established as objectively correct. Rather, it does so because it offers an internally coherent theoretical framework with clinical applicability. In the atheoretical world of the DSM, Wakefield’s unabashed endorsement of an internally coherent theoretical definition—in this case built on the theory of evolution—is highly refreshing. Yet, it remains a theoretical perspective, not an objectively correct picture of what disorder really is. Psychodynamic, cognitive-behavioral, humanistic, and psychobiological theorists all have their own definitions of disorder. These definitions, like Wakefield’s but unlike the DSM’s, are internally coherent because they are based on commitments to specific underlying assumptions. Importantly, science never tells us which of these theories is ultimately correct. It only tells us when one or more of these theories let us down. Thus, our basis for comparing theories is not so much which are objectively true, but which succeed in meeting desired goals under specifiable circumstances. In claiming his theory gets at essential properties of the world, I am afraid Wakefield has overstated his case. American Psychiatric Association. (2000). Diagnostic and statistical manual of mental disorders (4th, text rev. ed.). Washington, DC: Author. Glasersfeld, E. von. (1995). Radical constructivism: A way of knowing and learning. London: The Falmer Press. Oyama, S. (2000a). Evolution’s eye: A systems view of the biology-culture divide. Durham, NC: Duke University Press. Oyama, S. (2000b). The ontogeny of information: Developmental systems and evolution (2nd ed.). Durham, NC: Duke University Press. Szasz, T. (1974). The myth of mental illness: Foundations of a theory of personal conduct (rev. ed.). New York: Harper & Row. Wakefield, J. C. (1992a). The concept of mental disorder: On the boundary between biological facts and social values. American Psychologist, 47, 373-388. Wakefield, J. C. (1992b). Disorder as harmful dysfunction: A conceptual critique of DSM-III-R’s definition of mental disorder. Psychological Review, 99, 232-247. Wakefield, J. C. (2002). Fixing a Foucault sandwich: Cognitive universals and cultural particulars in the concept of mental disorders. In K. A. Cerulo (Ed. ), Culture in mind: Toward a sociology of culture and cognition (pp. 245-266). New York: Routledge.